Do you love Reggae music? Do you love Bob Marley? We are going to be celebrating the life and legacy of the King of Reggae music Bob Marley ft King B-Fine and Afrikaya Band. King B Fine and Afrikaya Band present a powerfully uplifting live performance! 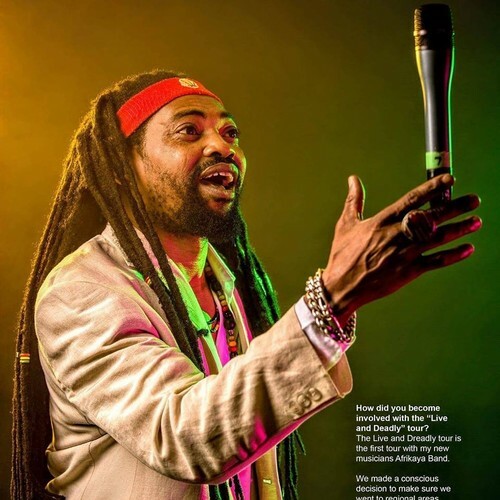 Originating from West Africa, King B Fine is an Sydney based reggae artist, he is also an AAMMA Award and Professional Excellence Award winner. A talented Reggae Dancehall Artist, with extensive experience in entertaining live audiences in nightclubs, concert halls, parks and festivals, background in African and Jamaican riddims and sounds combined and delivered into energetic dancehall performances.